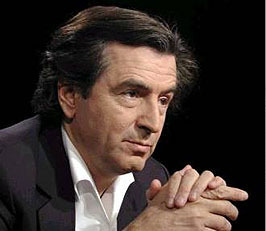 DSK is my friend, and I am Bernard-Henri Lévy. How dare these people of no importance treat him as though he has been credibly accused of a violent crime! He has a wife, with whom I, BHL, have dined, at parties with witty and charming Important People, and to speak publicly of any of this is victimizing her. To show my loyalty to this member of my privileged and superb tribe, I am going to make up nonsense about how rooms are cleaned in New York hotels, and assert, in my most magisterial way, that the US criminal justice system has a presumption of guilt. I have been to America, and I know about these things. The idea that a chambermaid is permitted in that vile country to accuse a Man of Great Importance! That a servant is permitted to trip up the great enterprise of my beloved French socialism! That if my seductive, charming, friend DSK, who loves the ladies, especially his own three, has forced himself on women they are supposed to be seen as victims – the nerve! If you do want to soil your soul, the whole thing is here.